Bangkok is one of my favorite cities to visit, and after several visits, I have already established some habits: staying at the same area, eating at the same places. 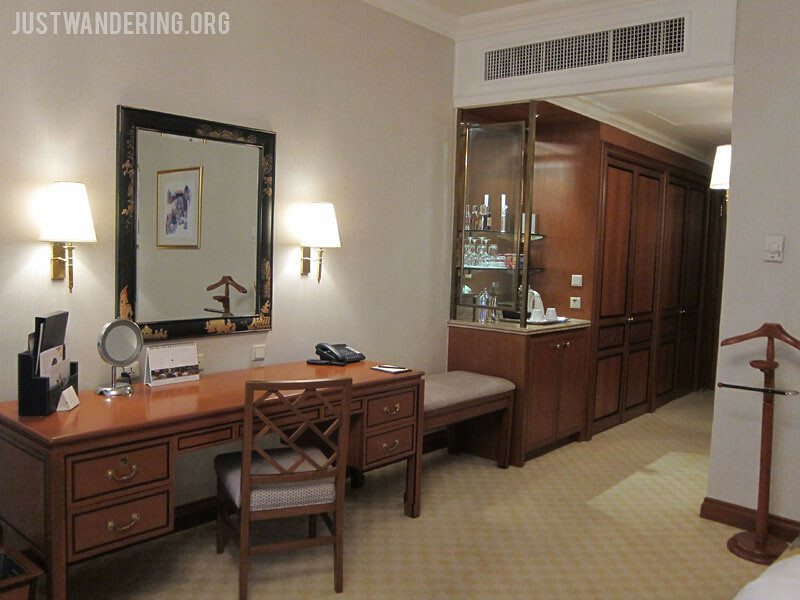 For my recent trip, I knew I had to try something new, so when Shangri-La Hotel, Bangkok offered me a great rate for a two night’s stay, I jumped at the opportunity. 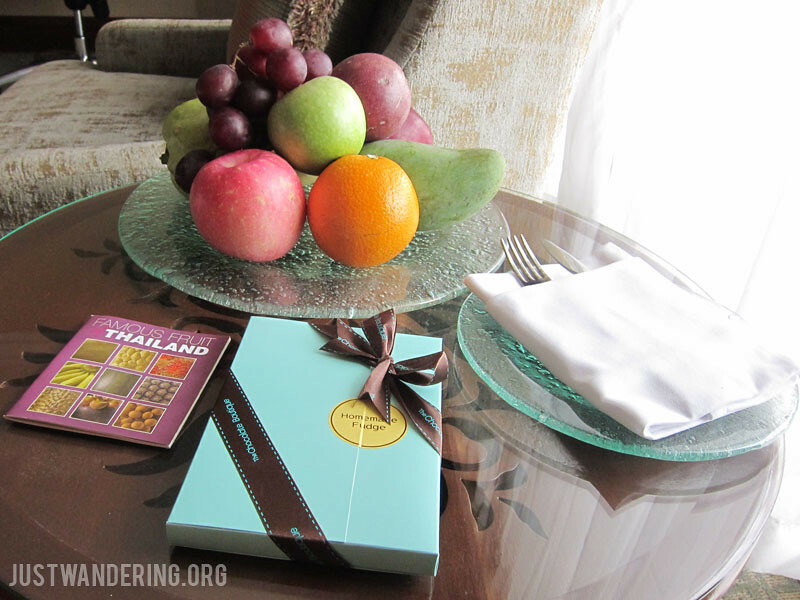 The Shangri-La Hotel, Bangkok is located at the banks of the Chao Phraya River. On my first visit to Bangkok, I was enthralled by the busy activity in the river — while it’s not the prettiest river to look at, I love how the locals use the river as part of their daily commute. It’s a river that’s teeming with life. 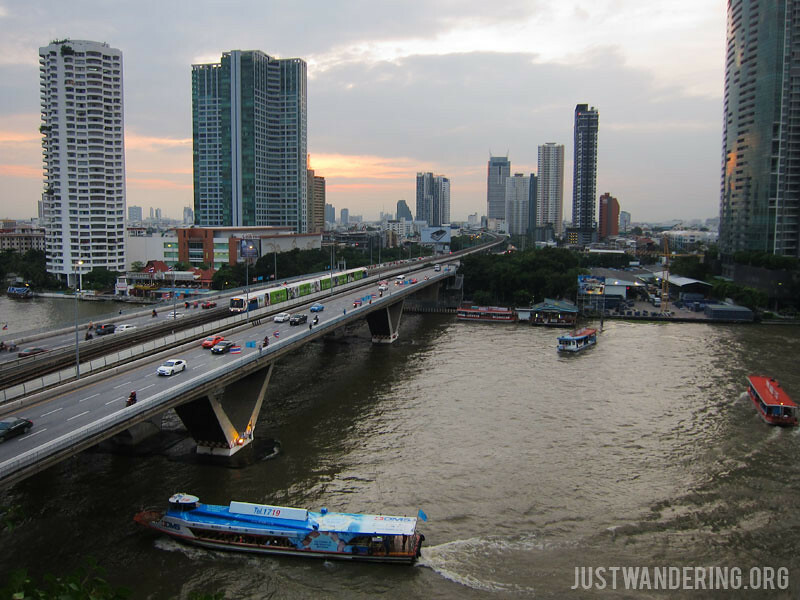 Though I often stayed in places away from the river, I love going there and riding the river express to Khao San Road or to visit the temples. I suppose as someone who lives in the city where the river is underutilized, this is somewhat a novelty that I indulge in when I travel. It was my first time to stay in Bangrak, and right after checking in, I was eager to explore the area, specially after reading that there’s a great restaurant that serves duck nearby. The area behind the hotel has plenty of shops that caters to the needs of the locals, rather than the tourists, and restaurant and food stalls frequented by office workers. It wasn’t a posh neighborhood, and the main road is really very busy, so you get a real feel of the local vibe. 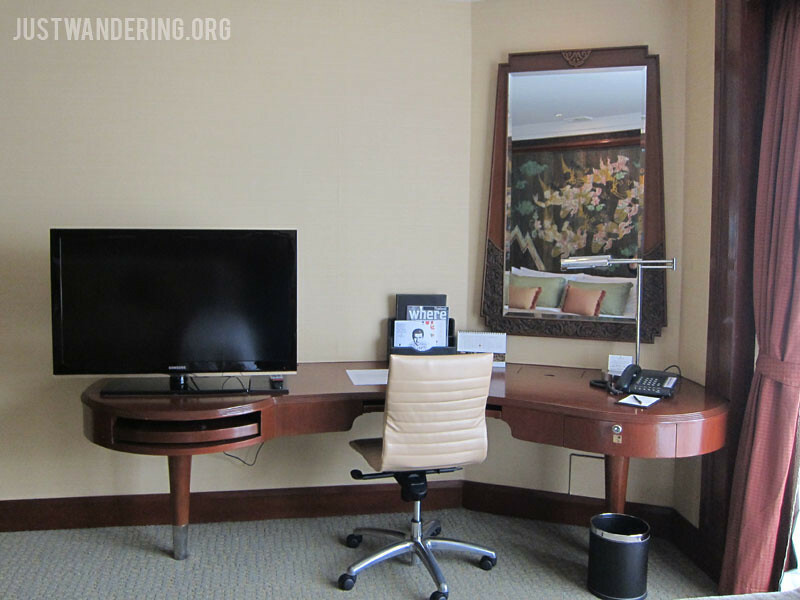 For first timers to Bangkok, the hotel’s location by the river is ideal: it is right next to the Saphan Taksin BTS station, and within comfortable walking distance to the Sathorn Pier, which is the central pier of the Chao Phraya River Express boats. 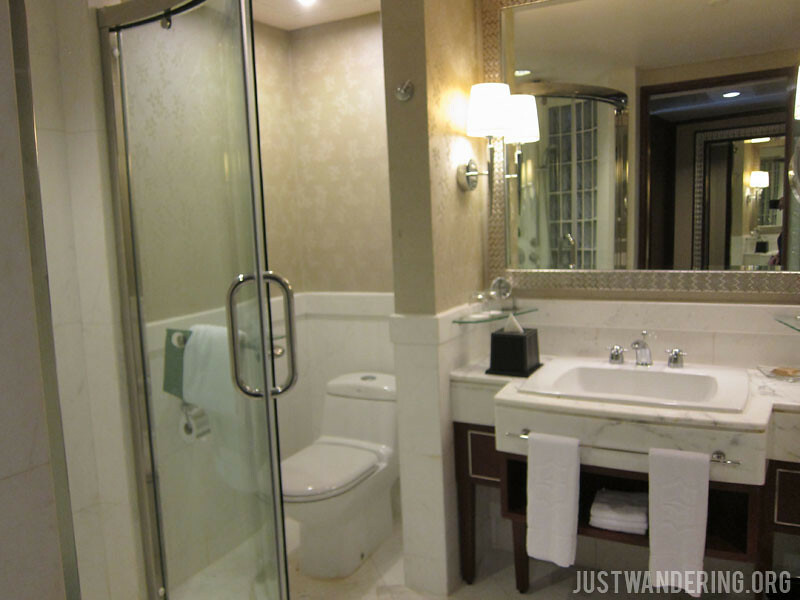 The proximity to the BTS station means that you can conveniently go to the city center via the SkyTrain, while the pier means that The Grand Palace and the Temple of the Emerald Buddha, Wat Po, Wat Arun, and Chinatown are just one boat ride away. One note about the BTS though: there is no elevator going down to the ground level (at least, not near the Shangri-La exit), so if you took the train from the airport, you’ll have to lug your bags down the stairs. 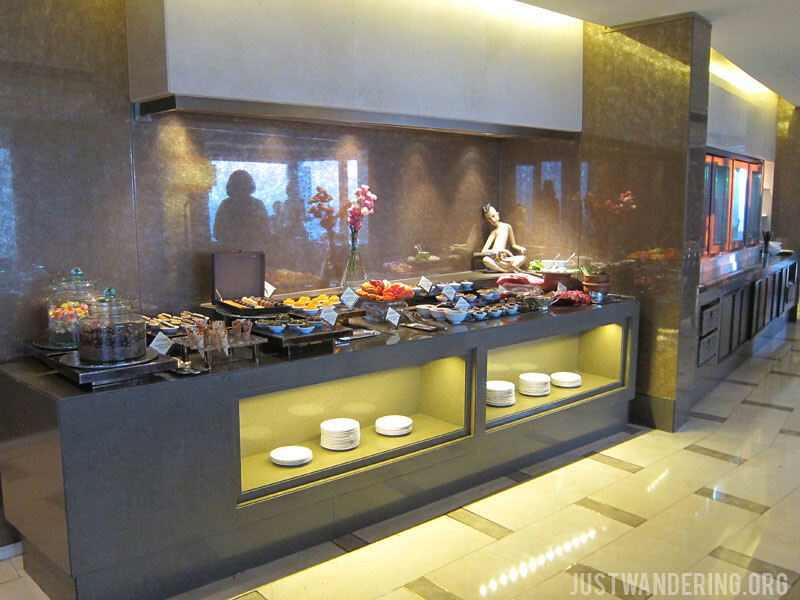 Also, it’s the Krungthep wing that is nearest to the BTS, so if you are staying at the Shangri-La Wing and are just about to check-in, they can arrange to have their tuk-tuk bring you to the Shangri-La Wing lobby. 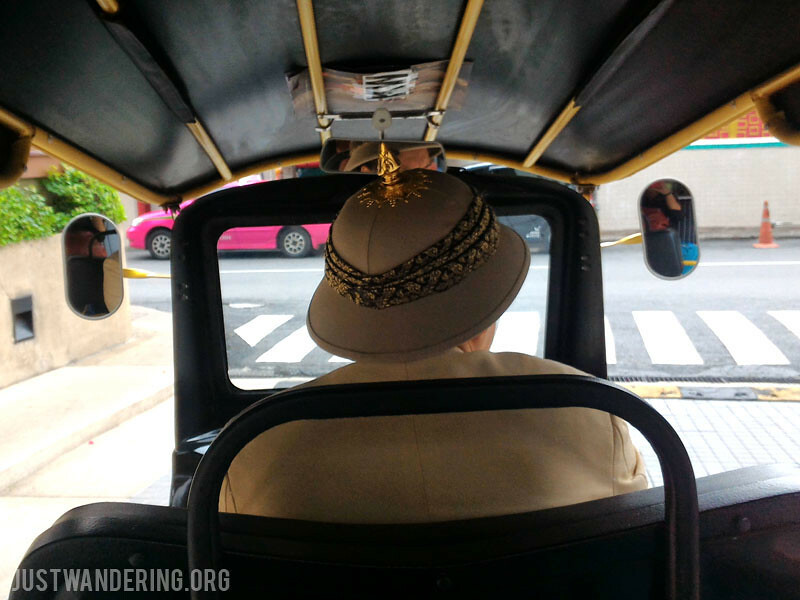 It was a really nice way to experience riding the tuk-tuk in Bangkok without having to worry about getting charged an exorbitant amount for a short ride. If you’d rather take the taxi though, the concierge can arrange for a taxi to come pick you up at the lobby. I was told that the hotel has its fleet of taxis, which means you won’t have to wait long for a ride. When a car comes, whether it’s a taxi or an Uber, the bellboys would talk to the driver to make sure that they know where your destination is. It’s a simple gesture that I really appreciate. My room was a Deluxe Balcony Room on the 20th floor. 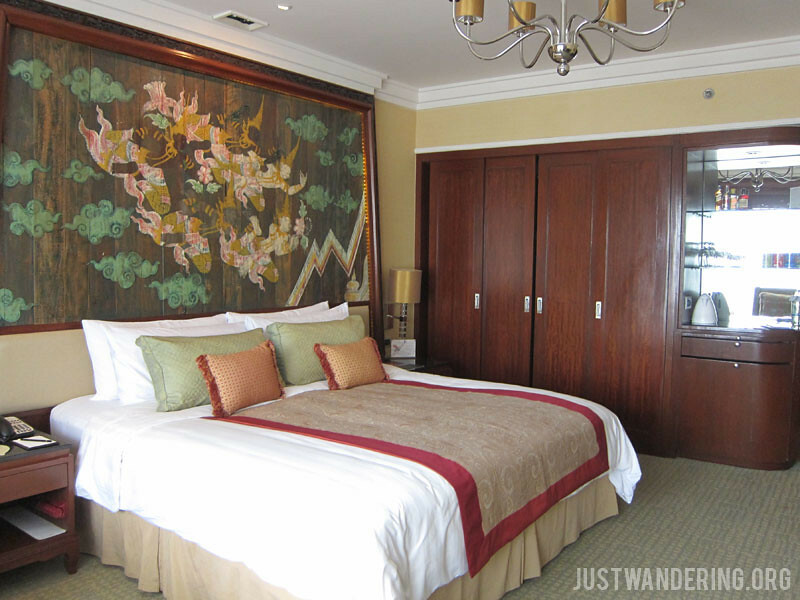 Like all my previous rooms at the Shangri-La, it was spacious, has everything I needed for the short stay, and have a very luxurious bed. 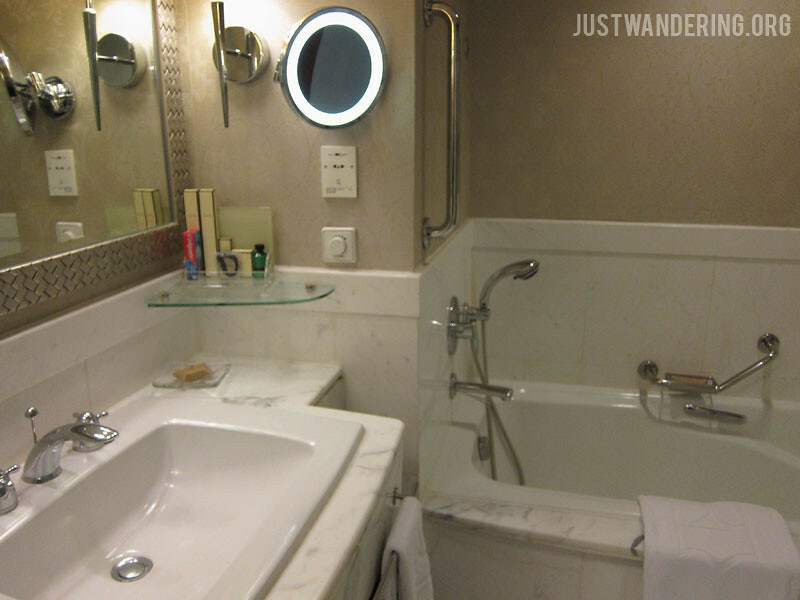 The bathroom, as always, was equally spacious, with a separate shower and tub. 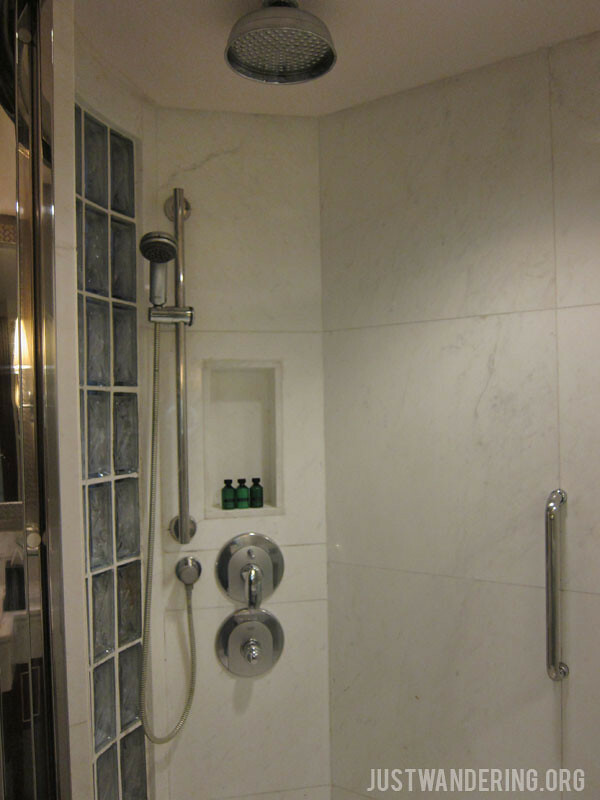 The shower stall has both the hand-held shower nozzle, which I prefer, and the overhead rain shower head, which others like, so it’s a victory for both camps. In this room, however, my favorite is the balcony. 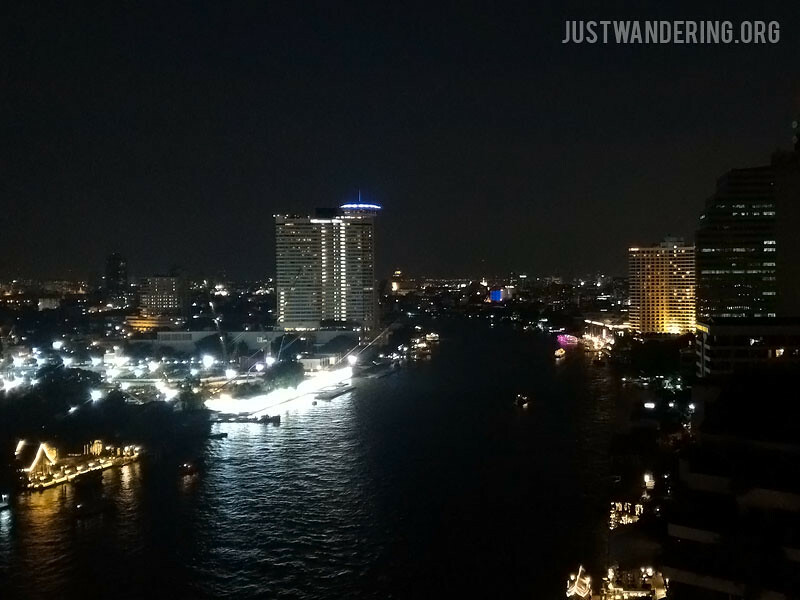 I had a beautiful, unobstructed view of the river and the surrounding Bangkok skyline. I can see the sun as it rose from the horizon, and had a glimpse of the splash of colors in the sky as it sets. I spent hours just sitting out at the balcony, munching on fruits and fudge as I watch the busy river traffic below. There was even a constant breeze, so it was pretty pleasant sitting outside. 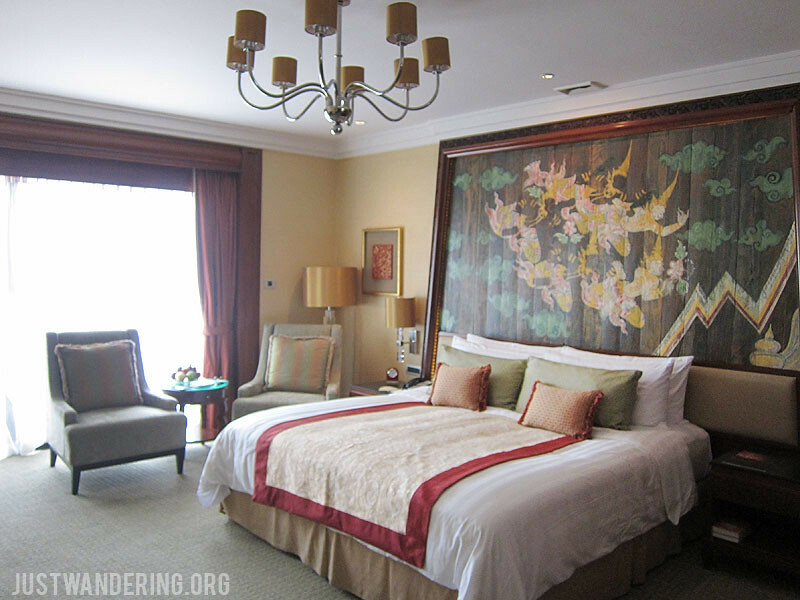 The Horizon Club rooms of the Shangri-La Hotel, Bangkok is from the 21st floor up in the Shangri-La Wing. Guests staying in these rooms have access to the Horizon Club Lounge, and have the option to have their breakfast there. They can also enjoy whole day access to the lounge, and evening cocktails and canapes. All the rooms and suites in the Krungthep Wing have a river view balcony, and guests have access to the exclusive Riverside Lounge, and enjoy complimentary breakfast, afternoon high tea, early evening cocktails, and refreshing beverages all throughout the day, whether at the lounge or by the poolside. Shangri-La Hotels recently launched their Love Journey Deals where you can enjoy up to 40% off the published rates for certain months of the year. 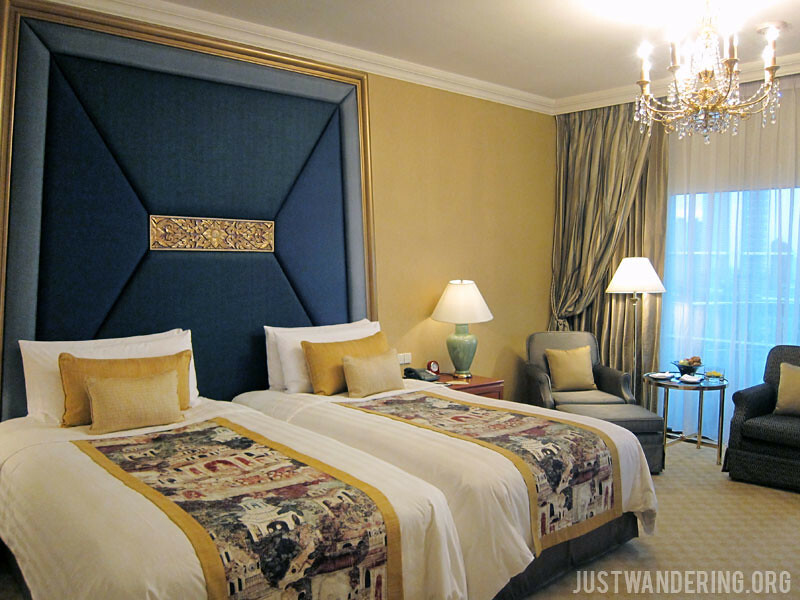 I checked the rates, and you can get a room in the Krungthep Wing for THB4,000+ per night, which is a pretty great deal! This is a limited online offer: you can get this rate only until November 11, 2015! I like the tuk-tuk drivers dress. Did you watched the movie Jumanji (1995), there was a hunter wearing a dress like this. Another interesting thing i want to share with you, last year i had visited the Bangladesh and i found the tuk-tuk there, the local people called this tom-tom.